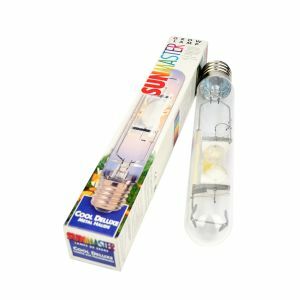 The Sunmaster Metal Halide Lamp (7200k) are what we regard as the best! Used mainly for the Growing phase of the plant, to produce lush green strong plants. They can also be used to add extra blue spectrum to a lighting setup that contains mostly sodium lamps. Leading to an increased overall plant health.